Jade Beach Sunny Isles: Why Choose Condo here? Jade Beach is becoming highly popular choice when it comes to purchasing condominium property which is directly on the beach. This means that as a resident of this high-end ultra-modern condo you will enjoy all the excitements of Miami. Located at 17001 Collins Avenue in Sunny Isles Beach, this is just a short drive from South Beach or downtime Miami or Fort Lauderdale. 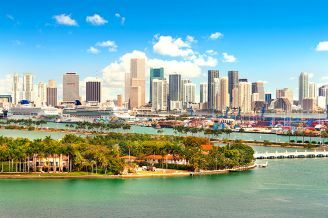 So, those who have been in doubt about its distant to the centre of Miami can now take breath, because they will have both the joys of distant beach and at the same time the beauty of pristine ocean. Condo buyers will get various types and sizes of units, nearly everybody should be able to find a floor plan which will fit into his or her requirements and also individual’s or couple’s budget. Jade Beach Apartment is now one of the most popular property along the beach, offering a unique and interesting fashion from an aesthetic viewpoint. This is why it should be your first class choice, regardless of your reasons for new property purchase being a permanent residence or a vacation property. This can offer plenty of love which might include resort style living in luxury. Feature of the building include three-story lobby which overlooks the ocean, thanks to the floor to the ceiling windows. Upon stepping into the building, you will come to know that this is truly special due to the five-story waterfall façade in the front entrance. As soon as you step into the building, you will appreciate the beauty of it and also the great layout for Jade Beach Apartments. Featuring 51 stories high, there are 248 condominiums, the building is offering great views of the Atlantic and the Intracoastal Waterway. From the building the views of the sunrise and sunset will be available; this is because of the design of the building. Find there quite a few amenities which can help to make it a great option for those who are looking at the Jade Beach. The floor plans of the Jade Beach Apartment are designed in such a way that anyone will fall in love with it. The units will have the dryers and washers that is a huge benefit. The units have nice size walk-in closets that must offer buyers plenty of room for their clothing, accessories, shoes, and much more. Residents can enjoy the infinity-edge whirlpools in the bathroom. This building will also offer resident the storage facility. Floor to ceiling windows, open air and sunlight and exotic views will be always available. Find there smart home technology for virtual interactivity for every unit. Along with it, residents will get high quality stainless steel kitchen appliances from Miele and Sub-Zero. If you have special liking for European designer faucets and fixtures in the bathrooms, you will get them.